When we threw out earmarks, did we lose the key to breaking down Washington gridlock? If there’s one thing most Democrats and Republicans can agree on, it’s that the US Congress has become an ineffectual disaster, frozen in partisan conflict and seemingly unable to pass any meaningful legislation. One of the few instances of efficient lawmaking they’ve managed this year happened only after flight delays caused by budget sequestration began to threaten their own vacation plans. Meanwhile, the bipartisan gun control bill is dead, and the fate of immigration reform remains uncertain. American politics, it seems, has become so polarized that lawmakers simply can’t find common ground on the most important issues of the day. But partisanship has always been with us, and as Congress approaches yet another potential showdown over the federal budget, a chorus of thinkers from the world of political science is making a surprising argument about how to overcome the gridlock. In order to help Congress get moving again, they say, America needs to restore something that has long been considered a symbol of all that is wrong with government: pork-barrel politics. Pork, in this context, refers to federal money that has been earmarked by lawmakers in order to fund projects in their home districts: things like roads, bridges, and museums, which tend to make voters happy and which lawmakers have been funding with federal money since the country’s birth. The past two and a half years have been unusual in American history in that Congress has been operating almost entirely without such earmarks, thanks to a pork ban that passed in both the Senate and the House in late 2010 and early 2011. Though driven primarily by conservatives concerned with fiscal responsibility, the move was ultimately applauded on the left and the right, and hailed as a victory against wasteful government spending and corruption on Capitol Hill. The use of pork to ease the passage of controversial legislation dates back to the beginning of the Republic, when one of the very first American laws ever passed, the Lighthouses Act of 1789, made it to George Washington’s desk only after party leaders promised a group of reluctant Southern representatives they’d fund the construction of a new lighthouse in Virginia in exchange for their cooperation. 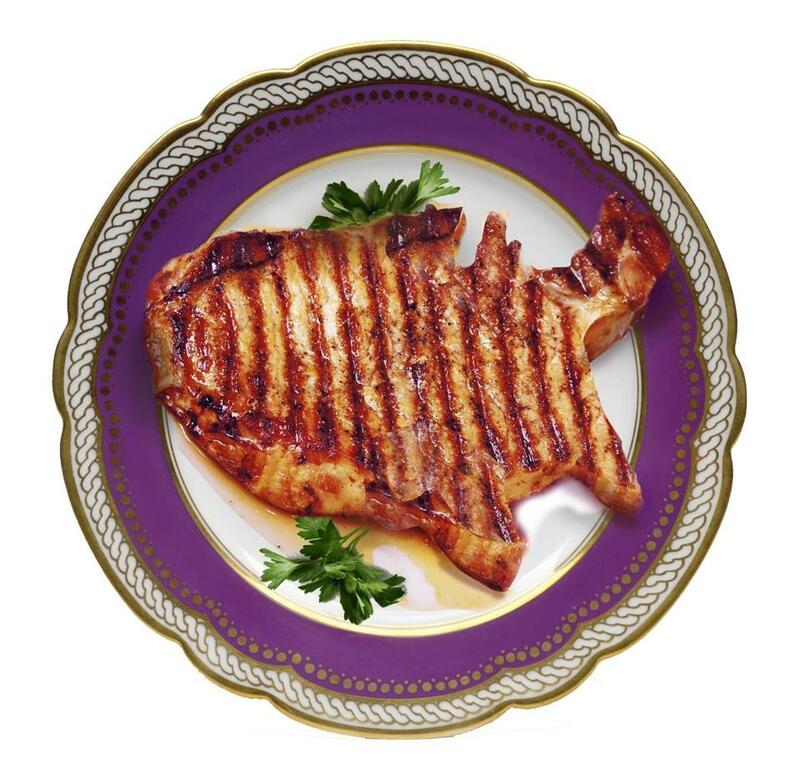 While that may sound to us like a perversion of the democratic process—a system that rewards self-interested politicians bent on winning elections—those who believe in the power of pork argue that it’s a necessary part of a functioning democracy. 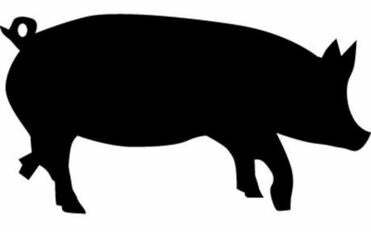 Pork has historically cost taxpayers a relatively small amount of money, less than half of 1 percent of all federal spending, they point out, and it has helped innumerable laws get passed in return. So far, the pro-earmarks argument has not gotten much of a hearing outside academic circles. But as the stalemate in Washington persists, and the “Grand Bargain” over the federal budget starts to feel more elusive than ever, it might be time to admit that a Congress without pork is useless, even if it feels a little less greasy. Projects funded through earmarks, by definition, aren’t vetted by any federal agency in the same way as the vast majority of federal spending. Instead, they get paid for when party leaders tuck them into appropriations bills, either to do someone a favor or help a vulnerable politician win reelection. Over the years, this kind of ad hoc spending has become a powerful symbol of everything ordinary people hate about politics. Whatever benefits we may get from the pork barrel projects that our own elected officials bring home, there’s something disturbing about the idea that in addition to the set of national spending priorities we see hashed out in public, there’s an entirely separate one concocted in smoky back rooms and determined almost entirely through political maneuvering. For critics suspicious of how Washington doles out taxpayer dollars, pork-barrel projects are extremely easy targets, and ridiculing them has long been a tradition in the anti-earmark movement. Since 1991, the group Citizens Against Government Waste has been publishing an annual “Pig Book,” singling out the silliest-sounding projects for mockery and scolding. Over the years, the book has taken note of a $1.65 million grant to “improve the shelf life of vegetables,” a $500,000 “teapot museum” in North Carolina, and $50 million for an “indoor rainforest” in Iowa. More recently, the $398 million construction project in Alaska known as the “Bridge to Nowhere,” pushed by Senator Ted Stevens, became a national symbol of governmental folly. But according to Frisch and other proponents of earmarks, to treat pork as if it’s synonymous with waste misses its practical role in making Congress work. In their 2011 book, “Cheese Factories on the Moon: Why Earmarks Are Good for American Democracy,” Frisch and his fellow political scientist Sean Kelly mount a spirited, two-pronged defense of pork. For one thing, they argue, most of the projects that get funded through earmarks—shelters for abused women, job training programs, research centers, transportation—aren’t actually all that frivolous, and are earnestly conceived by politicians in response to real needs in the communities they represent. Even more important, however, these projects serve as highly effective bargaining chips when ambitious, controversial legislation is on the line. Diana Evans makes the same argument in 2004’s “Greasing the Wheels”: “Pork barreling,” she writes, “despite its much maligned status, gets things done.” In 1998, a major highway bill was passed thanks to earmarks; as a lobbyist told the National Journal at the time, “The projects are the glue that’s going to hold the damn thing together.” Around the same time, President Clinton won over a group of congressmen reluctant to go along with his controversial NAFTA bill by helping them secure earmarks for which they could then claim credit in their home districts. By giving the congressmen projects that would offset the wrath they might otherwise incur from voters, Clinton gave them political cover to go along with him. The current ban on earmarks was spearheaded by House Speaker John Boehner and other Republicans who wanted to send a message about the importance of cutting down on government spending, but it ultimately won support on both sides of the aisle. So far there has been no sign that the ban—which was initially billed as temporary—will be lifted anytime soon. After all, who could argue with a measure that ensures federal money will never again be funneled to such apparent frivolities as the National Cowgirl Museum and Hall of Fame in Texas, or research on grizzly bear DNA, or new stadiums in Cleveland and Miami? But it’s becoming clear that this antispending gesture has its own costs. “What we’re seeing is a natural experiment where we say, ‘Let’s try to run Congress without earmarks for a few years.’ And what we’re finding out is that we don’t really like what’s going on,” said Jeffrey Lazarus, a political scientist at Georgia State University who has published multiple academic papers on pork barrel politics. Once a skeptic of the pro-earmarks argument, Lazarus said recently that he has mostly changed his mind in the midst of the gridlock in today’s Congress. There are still reasons to be skeptical about the idea of bringing back pork. On a practical level, Congress might simply be too polarized at this point for earmarks to work the way they used to. “I don’t think [earmarks] would [make a difference] now,” said Frank—in part because many representatives today were elected almost entirely based on their opposition to federal spending, which makes them very unlikely to be swayed by the prospect of new government-funded bike paths in their hometowns. There’s also a moral objection, stemming from the fact that earmarks don’t just enable back-scratching among lawmakers—they also offer one more way for powerful outside interests to secure favors from themselves through lobbyists. As Robert Kaiser describes in his book “So Damn Much Money,” it became common, starting in the late 1970s, for lobbyists to win federal money for clients by persuading politicians to seek specific earmarks in exchange for campaign donations. This kind of corruption was rampant before the ban went into effect, said Harvard Law School professor Lawrence Lessig, who in recent years has made campaign finance the focus of his academic work. Lessig said he understands that earmarks were a useful tool for coalition-building. But the fact remains that they empowered companies and individuals who could afford to buy them. “If we go back to earmarks, you’ll just see that corruption manifest itself through the economy of earmarks again,” Lessig said. But perhaps the most important reason the pro-earmarks argument is hard to swallow is that it violates our ideals about American government. Ultimately, its lesson is a cynical one: Without crude, institutionalized bribery, our democracy simply doesn’t work. Still, it might be worth accepting that slightly bleak view if it would buy us a Congress that actually functions again—and manages to move the country forward, however dubious the process.